Megumi Matsubara works individually as an artist and collectively as an architect through Assistant, an international and interdisciplinary design practice that she cofounded with Hiroi Ariyma in 2002. Based on an architectural approach and inspired by urban environments, she composes spatial narratives combining the use of diverse media such as installation, sound, photography and texts. Through constantly rearranging the existing environments, her works challenge the balance between presence and absence. Megumi Matsubara lives and works between Tokyo and Fes. In the beginning of 2012 Megumi Matsubara came to Morocco for a five months residency program at Dar Al Ma’mûn in Marrakech. During this period, the artist worked on the project Rêveurs rêve rêves with children of the countryside outside of Marrakech. The result is a series of architectural interventions, a proposal to study Braille and other languages with a book, a representation of an artist’s book and seven types of postcards made in Morocco in 2012. After a short stay of research in Fes, in April 2012, Megumi came to currently work at the residency of the Institute Français of Fes. She prepares several projects, amongst other an exhibition in the Batha Museum and the Medina of Fes for the 6th edition of REncontres Internationales de la Photo de Fes, in December 2012. 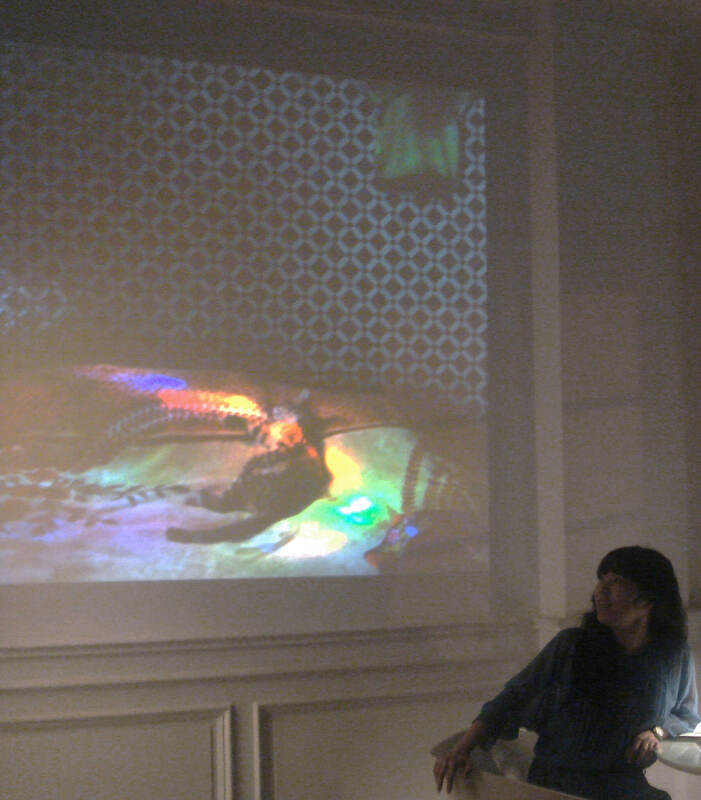 During one evening at Le Cube – independent art room, Megumi Matsubara talks about her work created in Morocco and elsewhere. The artist also participates in the art space that will be presented up till the 25th of December.